Tidy up your garden and restore your home back to its former glory with the help of the highly experienced and qualified team at All Trash Oz. Ensuring your garden is kept neat and clean can sometimes be a tedious task, especially when it calls for several backs and forth trips to the rubbish depot. With years of experience you can assure any green waste is a breeze. 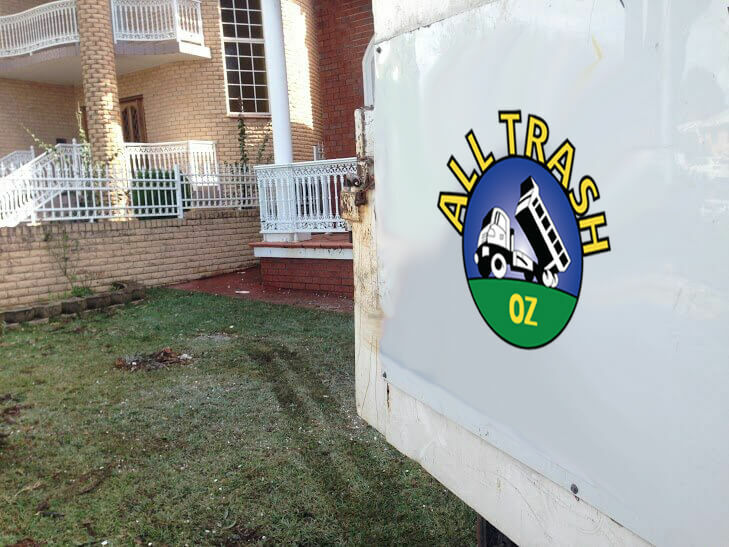 Expertise, efficiency, and not to mention, affordability is what you get with the team at All Trash Oz. Garden waste removal has helped develop a long-standing list of Sydney clients who have been constantly impressed with the level of integrity, service and dedication of All Trash Oz. For years being the company of choice in the local community for green waste removal. All Trash Oz have built a strong reputation as one of the most highly efficient and affordable green waste disposal companies in Sydney. All aspects of your Garden Waste Removal are handled by All Trash OZ in a fast and efficient manner. Guaranteeing the lowest price and most friendly service in Sydney. Highly trained professionals will dispose of your green and garden waste in an environmentally sound manner, ensuring your garden is kept clean and healthy. If you’re looking for a team who can improve the environmental condition of your property, All Trash OZ is the perfect team for you. For the modern-day home-owner, form and function are of high importance, and this is especially true when it comes to your gardens. Contact us on 0400 061 061 today for an honest, reliable quote. Need it done today? We don’t offer you bins, leaving you with the hassles of disposing of your garden or green waste into the bin. We hand-load all garden & green waste to dispose of it properly. Our customers have the ease of a hassle free waste removal. No matter how small your piece of property, the environmental condition of the property matters. Garden trimmings, can begin to pile up. Unlike grass clippings that can be left on the grass, offering more nutrients to the grass and soil, limbs, shrubs, leaves, etc. can take from the health of the garden. All Trash OZ offers garden waste removal that is cost effective and hassle free to our customers. We are a company handles all aspects of your Garden Waste Removal in a manner that is fast and efficient, guaranteeing the lowest bill and the most courteous services in Sydney. Green waste is a recyclable waste and among our outstanding services at All Trash OZ Sydney. Green waste includes things and items like yard trimmings and yard furniture that is made from recyclable metals like aluminium and cast iron. All Trash OZ Sydney takes the hassles away no matter what time of year you require our waste removal services. We are your summer, spring, winter and fall clean up service that gets the job done right. When you hire us, you have the service of a green waste removal Sydney company that does the work while you sit back and relax and once again enjoy your yard. When you choose us, you choose a company that is established and has the reputation of a professional garden & green waste removal company. Professional Waste Removal Experts – our removal experts are just professional because they have the experience of seasoned waste removal professionals. They are experts because they have the skill and know-how, as well as the equipment, techniques and skill to get the job done quickly, ensuring the minimal bill as there will be no wasted time. We are a company that guarantees the best results at the lowest bill and ensures your company will be left clean. Same Day Service – Need it done today? We’ll be there today! Recycling – We ensure our customers that what can be recycled will be recycled. For more information on our garden & green waste removal Sydney services, contact us at the number below. We can also be reached through our “Get a Quote” form that is located at the top right of this page. We guarantee our waste removal services!